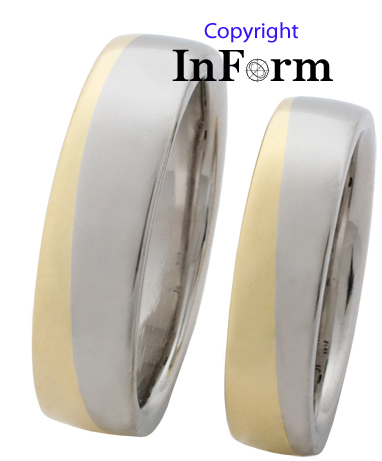 Seen below is a pair of wedding bands, one portion of each being made of platinum and the other of 18K green gold. The intense white of platinum in contrast with the gold creates a wonderful dynamic. 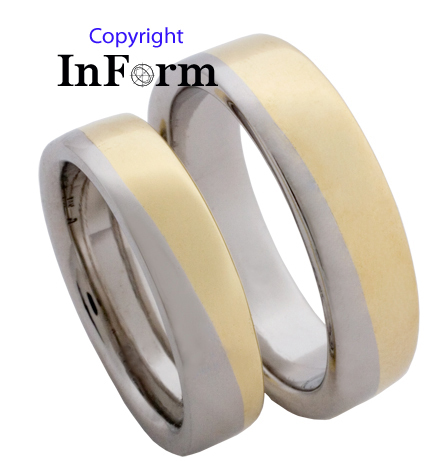 ***Please note that these or similar rings could be made using alternate colors of gold instead. portion of platinum is seen. depending on the color of the gold.